I used Vistaprint and got 30 invitations for $14.99. Keep an eye out for promotions and sales because this is the best time to buy. Also, if you really want to save on this part you can use E-vite or Paperless Post, which is completely free and you can design them how you like. A venue can be one of the biggest expenses for an event. Where you choose to host the shower can either save you tons of money or cost you a fortune. Instead of spending my entire budget on a fancy restaurant, I had the party at my sister’s house. I made her hide in her room all morning while I decorated and got everything ready. You can also suggest that they go get their hair, makeup and nails done, which will keep them out of the house for a while! 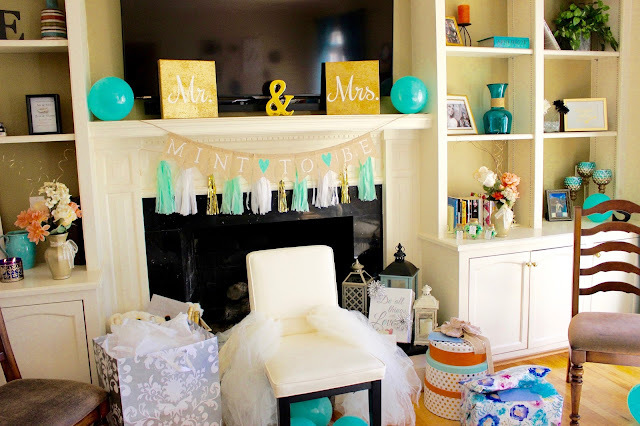 If your house isn’t big enough (like mine) consider other options like asking the bride or grooms parents or other bridesmaids. This is one of my biggest worries when planning the party. 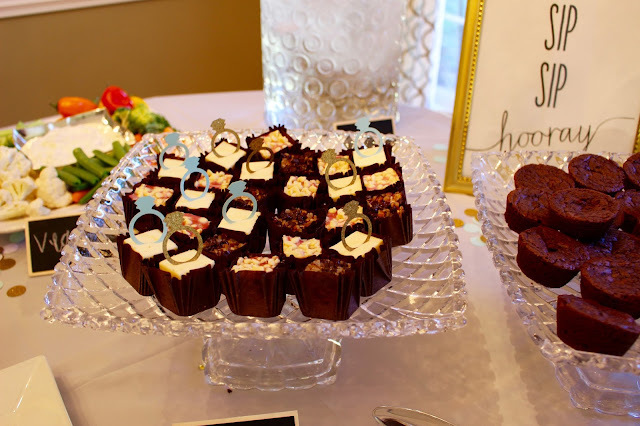 Should you have it catered? Should you cook? Should you order in? Skip the caterer and have finger foods. This is the way to go and it won’t cost you an arm and a leg. GO TO COSTCO! All the food, except for the shrimp, I purchased for the party came premade from Costco and it was delicious. Also, this is a great way to get the bridesmaids more involved if you don’t want to buy all premade food. 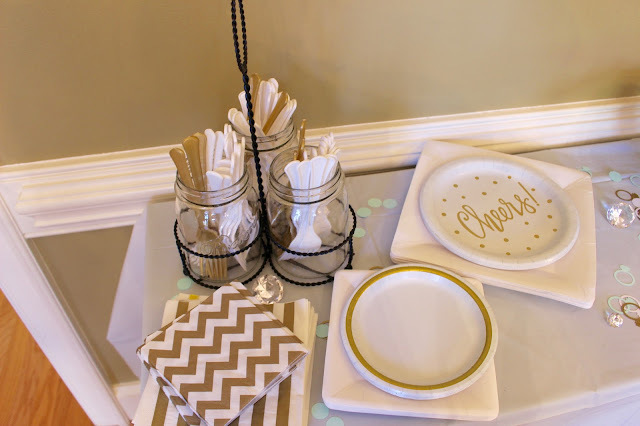 Suggest that they each bring some type of dip or finger food, which will take some pressure off of you and make them feel like they are a huge part of the party! Buy some champagne and orange juice and you’re good to go! 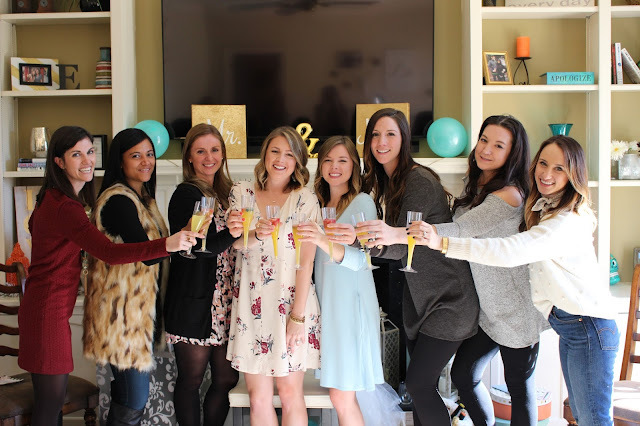 I put together a mimosa bar and it was a hit! I added some fruit to the table so everyone could dress up their mimosa, and had different flavors of orange juice. The biggest hit was orange mango! 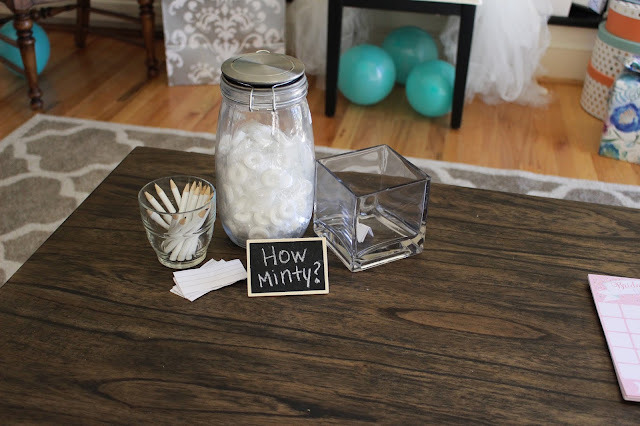 Pinterest will be your best friend when it comes to the games! 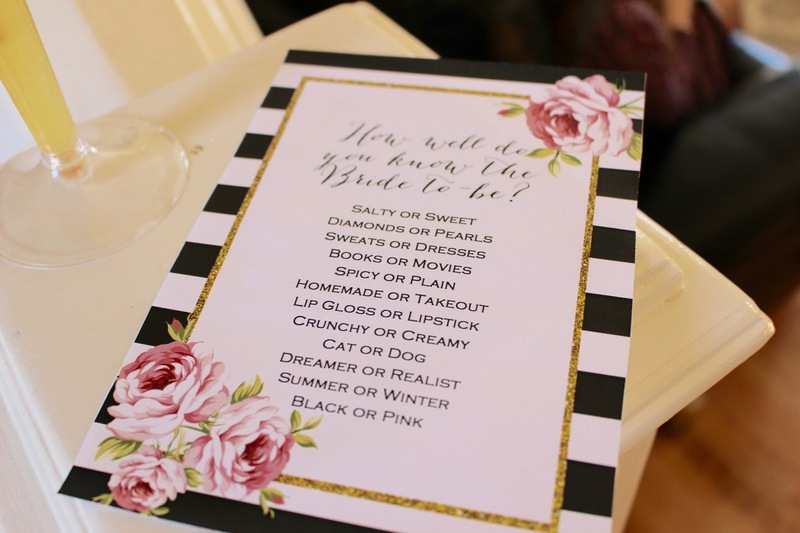 I found a ton of free printable games from How Well Do You Know The Bride to Bridal Shower Bingo. These were easy and fun for everyone to play! 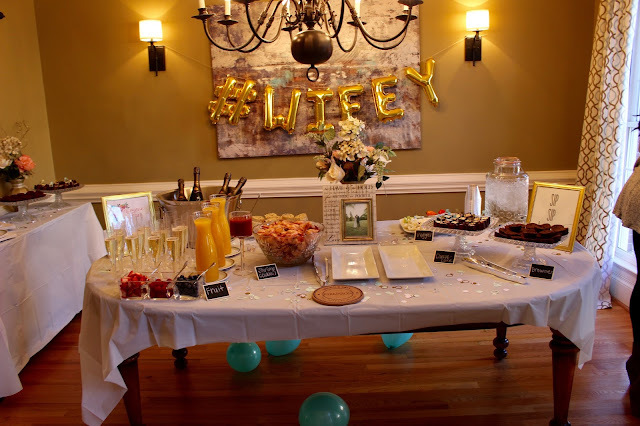 I used Etsy for all the décor and Party City for most of the food dishes. 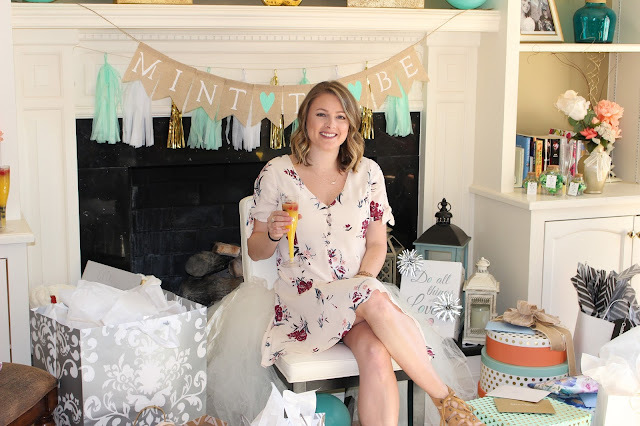 Once I picked my theme, Mint to Be, I ordered a about $100 dollars’ worth of décor from confetti to balloons to cupcake toppers. There are so many options and colors to choose from. 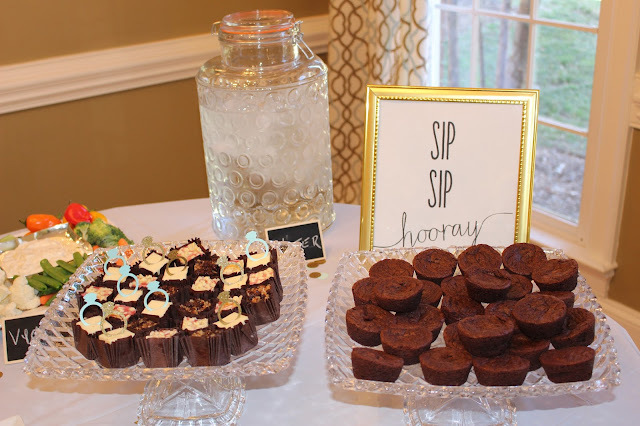 I also found free mimosa bar printables on Pinterest! Just print, add a picture frame and voila! Click here and here for the two I used. The decorations don’t have to be over the top. Keep it simple and it will look beautiful! Don’t be afraid to ask the other bridesmaids or parents of the bride and groom for help. Most likely they will be thrilled to help out and be a part of the celebration. Throwing a bridal shower does not have to be stressful or super expensive. Sometimes more simple events turn out to be more fun because the focus is more on the bride and her friends and family instead of elaborate decor. 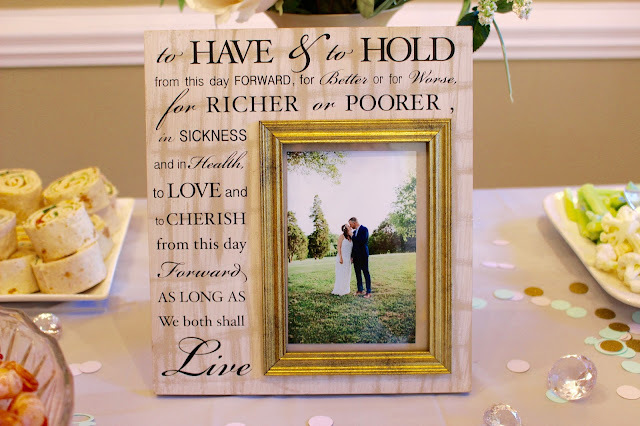 At the end of the day, guest will have fun being together and the bride will just enjoy being around all her loved ones and friends. 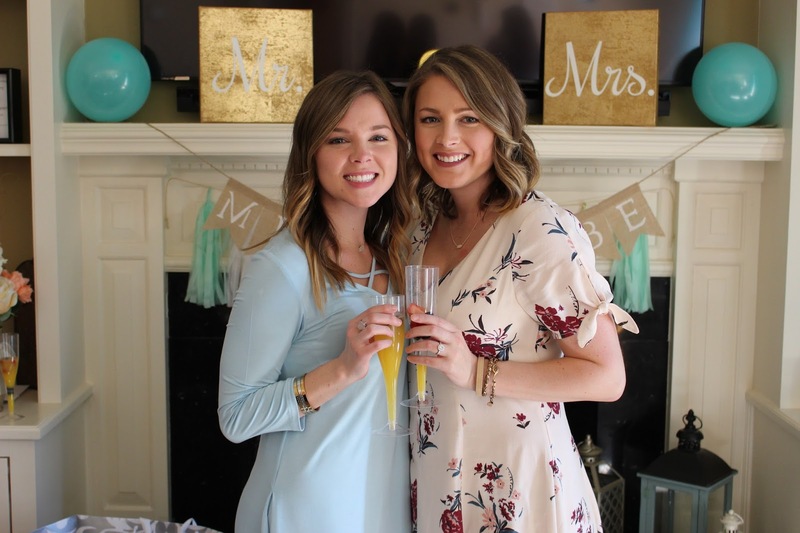 I did my hair and makeup trial the morning of my bridal shower! It was a great way to test it out and make sure I looked flawless in my photos! It was such a fun day! That is such a good idea! 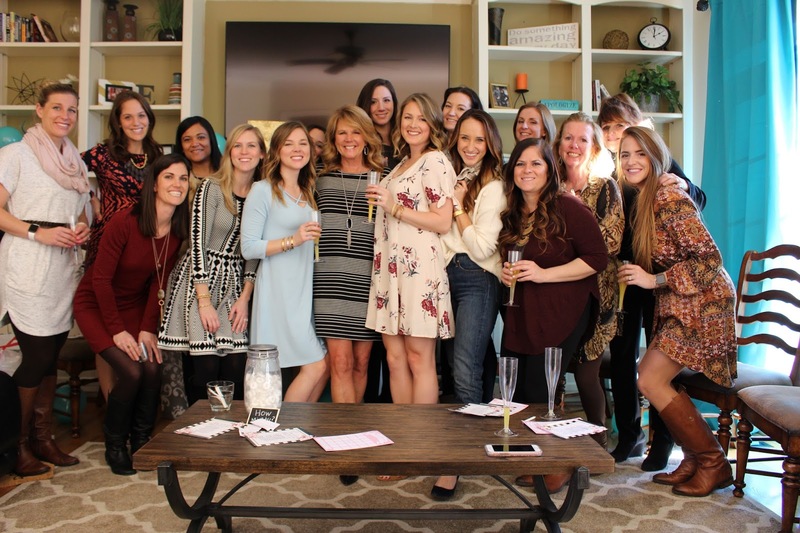 Plus, you probably looked amazing for all the bridal shower photos! Love this post! Pinterest is honestly a lifesaver for so many things, bridal showers included. Plus, getting crafty makes it so much more fun and personal. Thanks for so many amazing ideas. Absolutely stunning clicks of the bridal shower. I am planning a reception party for my brother in law at one of the spacious wedding venues next month. Thinking to hire an event planner so that all the arrangements are done in a systematic way. How did you make the ice cubes with the flowers in them? Did you use real flowers or silk? Everything looks gorgeous.